Jon Blake is the author of over sixty books for children and teenagers, including the picture book You’re A Hero, Daley B (ill. Axel Scheffler, worldwide sales of over 200,000) and Little Stupendo (shortlisted for the Children’s Book Award). A lifelong egalitarian, the son of an electrician and shopworker, Jon was born in Mortimer, Berkshire and brought up in Southampton. Jon went to college in Exeter, dropped out and worked in a furniture shop in Winchester, then continued studying at York and Bretton Hall (near Wakefield) before becoming a teacher and community centre warden in Peterborough and Nottingham. He moved to Cardiff in 1987 and now lives in the Canton area. 1984 Jon’s story “King” published by Bodley Head. Jon signs contract for two novels. 1985 Two editors mysteriously fall pregnant while working on Jon’s YA novel “Yatesy’s Rap”. BH unable to fulfil contract but secure Jon the services of reputedly best children’s fiction agent in UK, Gina Pollinger. 1986 Kestrel publish “Yatesy’s Rap”. Jon becomes protegé of legendary editor Wendy Boase of Walker Books. “Direct Action”, first of numerous TV scripts, produced by TVS for ITV. Jon writes and directs “Net”, a community play featuring pensioners from a lunch club. 1987 Jon moves to Cardiff. Becomes community education worker, working with pensioners and children. 1988 Puffin launch new YA imprint Puffin Plus with “Yatesy’s Rap”. Excerpts of novel featured on ITV’s “Under the Bedclothes” where it is slagged off by Tory boy band Big Fun for containing too much swearing. 1989 Jon’s first novel for juniors published by Blackie. Collins and Hutchinson also sign contracts with Jon. 1989-91 Another YA novel; three picture books; two story collections; five junior novels, including “The King of Rock and Roll”, of which Nina Bawden writes “10 or 11 year olds will love it. I certainly did”. 1990 Jon appointed writer in residence at Wrexham Arts Centre. Moves to Adamsdown, Cardiff, where he is to live for the next 19 years as unofficial lending library and initiator of many community arts projects. Involved in the campaign against the Poll Tax and over the coming years many more struggles, including the Cardiff Three campaign, anti-racist campaigns, pro-choice campaigns and the building of the UK’s biggest social forums in Cardiff and Bristol. 1992 Jon paired by Walker Books with unknown illustrator Axel Scheffler. “You’re a Hero Daley B” goes on to sell over 200,000 copies worldwide. 1992-94 Two more junior novels; two graphic novels; fifth picture book; third story collection. Jon now published by Simon & Schuster and Ginn. 1995 Ginn publish “Mark Two”, also in large book format, and the junior novel becomes a big hit in schools. Jon tours extensively to schools and leads INSET classes in creative writing. Jon appointed lecturer in creative writing at the University of Glamorgan. 1996 Early reader book “Little Stupendo” short-listed for the Children’s Book Award. “Life”, written for BBC’s “English Express”, short-listed for Writers Guild Best Children’s TV Script award. Jon diagnosed with congestive heart failure. Judge for Western Mail’s children’s storywriting competition. 1996-2001 Six more junior novels, four playscripts, four historical stories for use with history national curriculum and a children’s fictional adaptation of “Macbeth”. Now published by OUP, Heinemann and Franklin Watts. 2001 OUP publish junior comic novel “One Girl School” which will go on to sell over 30,000 copies. Jon’s radio sitcom “Degrees R Us” the hit of the night at BBC Radio Nations Comedy Cup in Glasgow and he wins BBC Talent award. Four episodes produced on Radio Wales. 2002 Walker publish “True Beautiful Game”, probably the best example of the many HILO (high interest, low ability) books Jon has written. “Todd and Blod”, animation series teaching the basics of creative writing, produced for BBC Bitesize. 2003 “The Deadly Secret of Dorothy W” published: first of many junior novels to be published by Hodder. Jon’s adult play “Blow City Rollers” produced by Sgrypt Cymru at Chapter Arts Centre. Jon works as playwright-tutor on Sgript Cymru’s “Livewire” project, culminating in production in Merthyr College of work written by adults with learning disabilities, a highlight of Jon’s lifetime devotion to community arts. 2005 “Stinky Finger’s House of Fun” published. Goes on to sell nearly 20,000 copies in the UK alone and spawn a hit series of six titles. CD version voiced by Alistair McGowan. Jon writes and directs “Nightmare on Clifton Street”, community sitcom, for the Star Radio project. 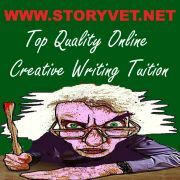 ing lecturer in creative writing at the University of Newport. 2008 “The Last Free Cat” is published by Hodder and soon attracts glowing reviews as an important contribution to YA literature. 2009 Jon decides to record the process of researching, writing and publishing an adult novel about the 1969 Isle of Wight festival on a website, www.dylan69.com. By 2017 blog will have had over 20,000 hits. “Adamsdown Song”, the culmination of a songwriting project involving Adamsdown primary schools, reaches number 1 on Soundclick, a leading internet chart. 2010 Jon becomes father for second time. “Mutiny on the School Ship Bounty” published: first collaboration with a Welsh publisher. Short-listed for Tir Na N-Og award. Appears at Hay Festival. 2011 Jon gets first Waterstones window as Newport IOW store features “69ers” during festival season. Jon collaborates with friend and neighbour Mark Roberts (ex Catatonia) on “This is the Sound of Adamsdown”, an album of songs featuring residents of the Cardiff inner city area. Theater Mummpitz in Nurnberg perform “He Duda”, capitalising on the popularity of “You’re a Hero, Daley B” in Germany. Walker publish “Oshie”, whose hero, like Jon’s son Jordi, has cerebral palsy. 2012 A great honour for Jon as Chicago publisher Albert Whitman publish “The Last Free Cat”. Whitman’s new YA imprint, a “select list of smart, fearless books” which “provide answers for teens”, is limited to four books per year. “The Last Free Cat” is also published by Hodder as an e-book and continues to collect glowing reviews, many featured on its website, www.feela.co.uk. A Japanese edition of the book is soon to be followed by a Korean translation. “You’re a Hero Daley B” republished by Walker. 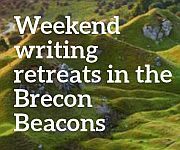 2013 Jon begins teaching courses at the Bute Park Education Centre: these soon prove popular and lead to creative writing weekends in the Brecon Beacons. By Jan 2017 he will have taken over a hundred workshops at Bute Park. Jon is international guest at the Sharjah Children’s Reading Festival and keynote speaker at two events. “The Last Free Cat” is chosen for the prestigious International Reading Association Young Adult Choices list, the first time am Albert Whitman book has had this honour. 2013-16 Various stories for the OUP and Heinemann Education. 2016 Cardiff publisher Firefly publishes “Thimble Monkey Superstar”, which Toppsta selects as one of its top ten books for the 6+ age range. OUP publish Jon’s rewrite of “Rip Van Winkle” in its Greatest Stories series, using the book as lead title to promote the series. 2017 Jon works as creative practitioner in the Wales Lead Creative Schools scheme. “Thimble Monkey Superstar” chosen for Summer Reading Challenge and shortlisted for the 2017 Lollies (Laugh Out Loud awards). What’s the stupidest place your cat’s ever crawled into?